Successfully Added 2.4GHz 4-channel palm wireless mobile AV receiver, with 4 X 208C to your Shopping Cart. 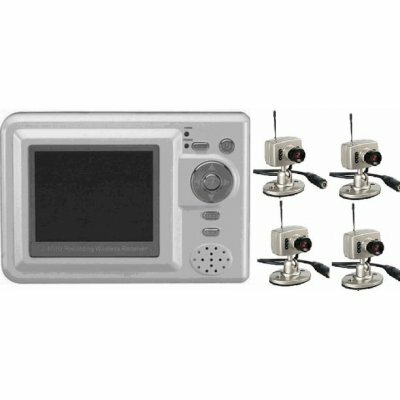 eless Mini-Spy Cameras + MP4 Player Handheld Wireless Receiver set. MP4 Player Receiver has 128MB expandable via SD card.